Is This Pivoting Bike Fork the Future of Front Suspensions? Mountain bike suspension has improved exponentially in the past decade. Rear shocks are dialed, but the front suspension hasn’t caught up. Trust Performance hopes to change that with a revolutionary suspension called The Message. Trust Performance builds a pivoting front fork. 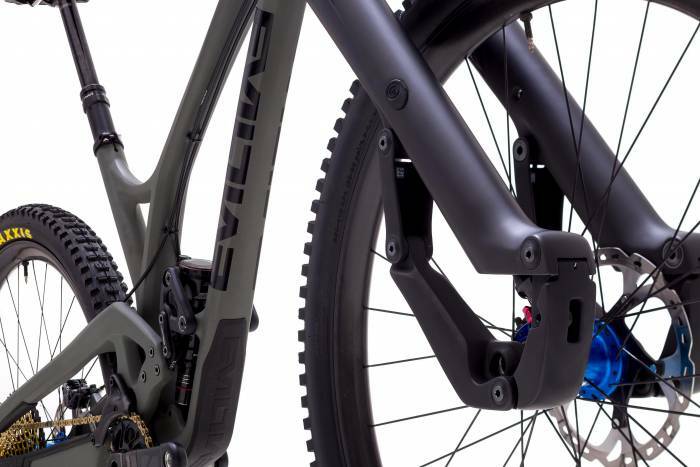 Today, it announced The Message, a unique fork that uses pivots, not stanchions, to give mountain bikers supple and stable front suspension. 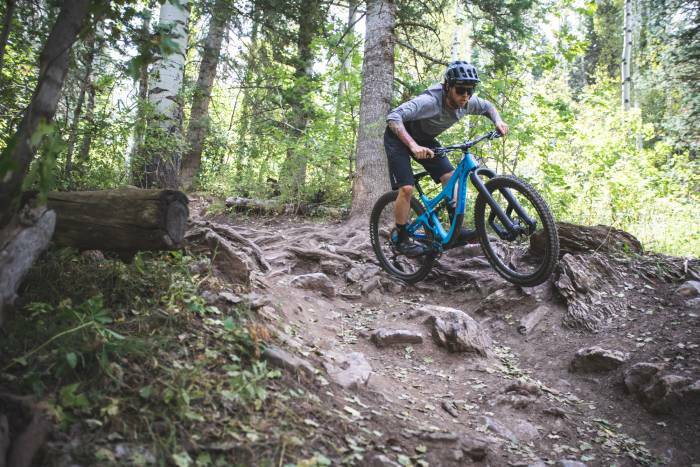 The fork aims to give mountain bikers better cornering, easier setup, and improved performance on all terrain, including small and large bumps and corners. The fork hits the market today for $2,700. Read on to learn about our experience testing this unique design. “When a telescopic fork compresses, the steering is less stable,” explains Dave Weagle, one of the best known modern mountain bike innovators. He’s responsible for the DW Link used by Pivot, Ibis, and others, and co-founded E13 Components and Evil Bikes. Many pivoting fork prototypes have focused on making front suspension lighter, or eliminating fork dive when a rider brakes. Telescoping forks have so much sticktion— the resistance to a rider initiating fork travel — that designers have to engineer flex into them. This allows a rider to engage the suspension, which typically takes around 50 pounds of pressure. Weagle teamed up with Hap Seliga, co-founder of Competitive Cyclist, and Jason Schiers, co-founder of Enve Composites, to form Trust Performance. 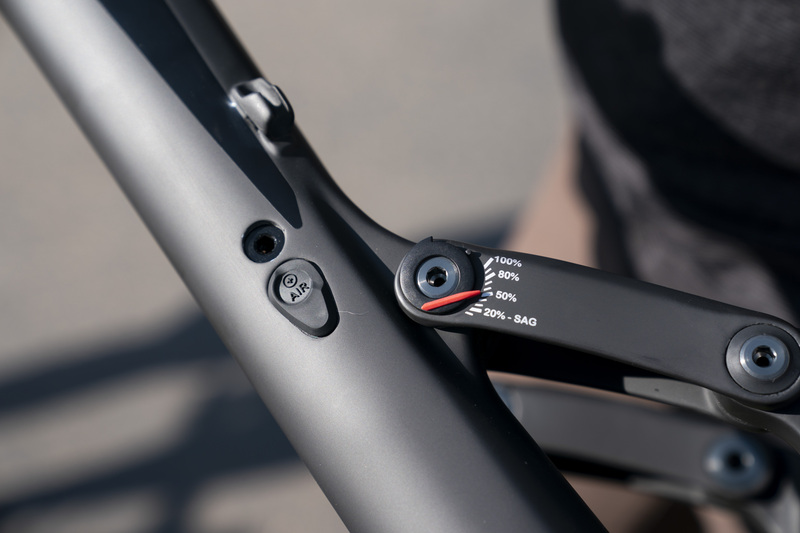 The Message ($2,700) is a carbon front fork with pivots, not stanchions. It moves on bearings the company designed and now produces. Unlike past pivoting fork designs, The Message’s mission is better cornering, easier setup, and better performance on all terrain — small bumps and large ones — and in corners. 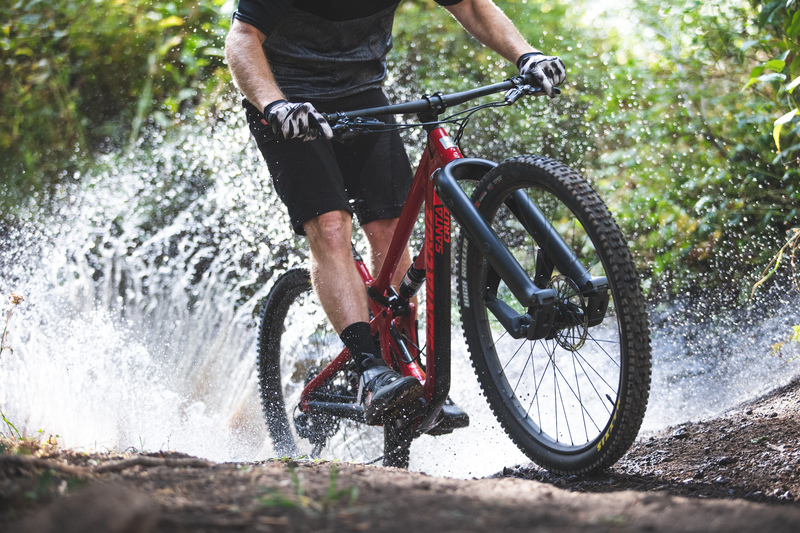 The Message delivers 130 mm of contour travel through a twin-tube thru-shaft damper with a four-bar linkage design that Trust Performance says provides incredible stability, control, and traction across a wide range of trail conditions. With a full-carbon chassis, steerer, and links, the Message is competitively lightweight and stiff compared to other high-end forks on the market. It’s easy to set up, comes with a lifetime bearing warranty, and boasts a 250-hour service interval. And, it bolts on to any standard mountain bike headset, no modifications required. The single SKU on The Message fits on mountain bikes with a traditional tapered head tube, and it runs a 110 x 15-mm Boost front axle with a standard 180- to 203-mm post-style brake mount. One model will replace 29- and 27.5+-inch telescopic forks with 110-150mm of travel and 27.5-inch telescopic forks with 130-150 mm of travel. Due to the unique design and axle path of the linkage system, the front wheel on The Message provides a self-aligning dynamic. The rider experiences greater control in a slide and more predictable steering input in most conditions. The Message also solves the “diving when braking” conundrum. Links in The Message are low and trailing. On a telescopic fork, compression is at an angle, and braking forces are putting all your weight on the fork, so it compresses. With The Message, hit a rock or bump and in the first part of compression, the wheel doesn’t dive or extend. A telescoping fork is constantly ramping up sticktion as you further engage the suspension. And it can take 25-200 pounds to engage it. The Message takes 2-4 pounds of pressure to engage suspension. The fork needs significantly less servicing than a telescoping fork: every 250 hours of riding instead of every 100 hours. And it’s easy to set up and operate. Air springs are set at the same psi as the rider’s body weight. Damper settings are controlled with three external settings — open mode, medium mode, and locked out. Turning clickers all the way clockwise sets the fork for a 300-pound rider. Every counterclockwise click on the rebound and open mode compression is equal to reducing rider weight by 10. Huck pucks in the damper, like tokens in other forks, can be used to change air volume. A three-position load adjuster provides trail and lockout modes. But even with the fork locked out, it still manages bumps if you slam into something. We tested this fork in Deer Valley, Utah, for a single afternoon. The test scenario was to ride two M Pivot Switchblades with 29-inch wheels back to back, one with a Rock Shox Pike and one with The Message. We lapped the same trail multiple times on each. Then, we took the bike with The Message for a longer run, followed by a big descent from near the top of Park City’s Guardsman’s Pass down to Midway. The Message was superior in at least three scenarios. First, we rode it down a stretch of chunky gravel from the end of the single track to the base of the ski lift. There, its ability to absorb chatter and vibration better than a telescoping fork was noticeable. Second, hitting rocks, roots and ruts was less jarring than on a telescoping fork. Finally, the corners rode differently — in a good way — though it’s hard to describe exactly given such a short time on board. Overall, we liked the fork enough that we didn’t want to give it back at the end. We are eagerly anticipating more time on it on our home trails. 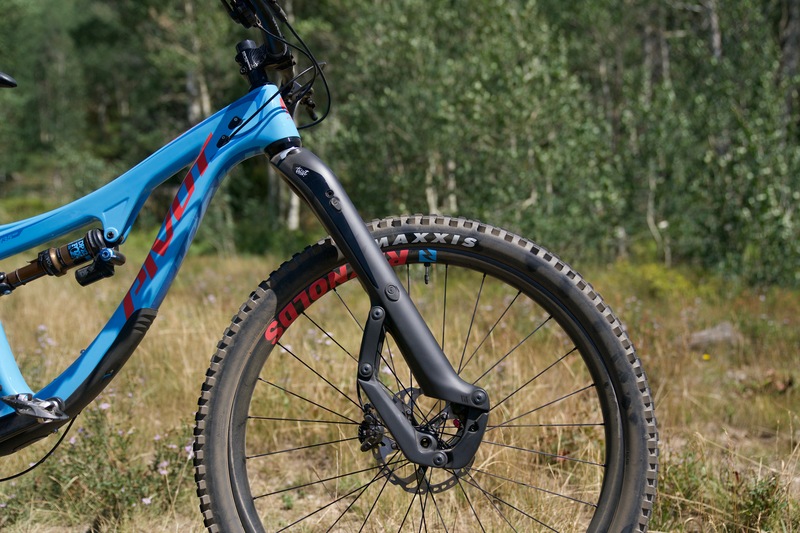 By the time you read this story, production forks will be coming off the Park City, Utah-based team’s factory line, and The Message will be for sale from the company’s website.